The Academy is trying to pull back some of the excessive campaigning for Oscars. The Academy moved to mirror the Best Picture rules in terms of allowing a number of producers for animation and documentaries; that’s a popular decision all around. Other changes are more dicey. Monday, October 1, 2018 is the new deadline for Animated Feature Film, Documentary Feature, Documentary Short Subject, Foreign Language Film, Animated Short Film, and Live Action Short Film categories. The submission deadline for Best Picture and all other categories is Thursday, November 15, by 5 p.m. PT. In Music categories Original Song and Score, the November 15 submission deadline to create a new preferential shortlists of 15 (which requires viewing films and clips of the songs) will put year-end December releases at a big disadvantage. A second round of balloting will choose five preferential nominees for each. Music is often added at the end of post-production. This will make it challenging for those films to finish and submit in time. Allowing documentaries to be eligible with a qualifying award at a competitive film festival even if they’ve played nontheatrically — not just a New York and Los Angeles one-week theatrical run — will make a wider swath of documentaries eligible from all over the world, especially lower-budget productions without expensive theatrical distribution. And the Academy is opening the qualifying press outlets that can review the films beyond the New York and Los Angeles Times. AMPAS president John Bailey is constantly pushing for more international involvement via streaming. The new rules for the Visual Effects annual show-and-tell “bakeoff,” which was once only accessible to branch voters on site in Los Angeles, will make it possible for VFX artists around the world, from Vancouver to Paris, to stream the presentations or attend satellite bake-off screenings as well as vote online. 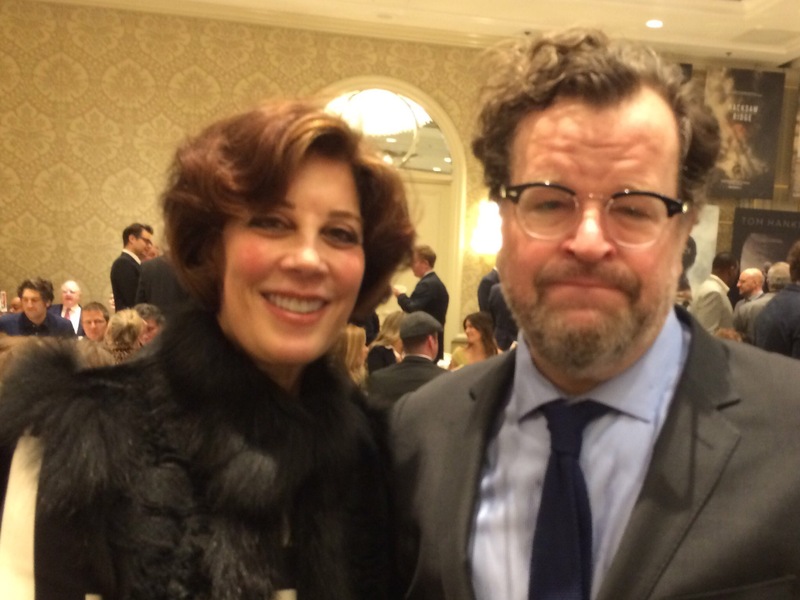 Awards maven Peggy Siegal and “Manchester By the Sea” writer-director Kenneth Lonergan at the AFI lunch. Among the distributors and publicity companies that specialize in campaigning directly to Academy members, “sanctioned” mailings will now be managed by Academy-approved mailing houses provided with official lists of members who have opted in with snail mail and email addresses (many will opt out!). Studios have collected Academy member lists for decades, and consultants earn top dollar for their lists as well. While this may seem to level the playing field, it may wind up placing more emphasis on the personal relationships consultants have with Academy members, “making their ground game more important than ever,” wrote one consultant. But there’s a difference between sending materials via mailings and reaching out for screenings and events, where the publicists are used to following up for feedback. That effort will be cut back. This issue was raised at a meeting the campaigners had with the Academy. “Special screenings with receptions are a different beast, as capacity is limited,” wrote one publicist. And these don’t target the entire Academy, but are often hand-tailored for a specific group. It’s hard to see how a mailing house will deal with this. Publicists are asking the Academy how campaigners will target non-branch outreach to tastemakers or the foreign-language voters, for example. And how will RSVPs be handled?